This writeup is part of a cluster of three *old* (perhaps even ancient) Doctor Who writeups, which we never got around to rewriting. However, those old things seem to be pretty popular, and I decided to keep them in publication. Other Aliases: John Smith, Theta Sigma (University Nickname). Base Of Operations: Mobile (The TARDIS). Height: 6’4” Weight: Uncertain Age: 750 years (give or take) ; appears to be in his late 30s. As a Time Lord from Gallifrey, he has various physical attributes such as a respiratory bypass system, and duel circulatory system. This allows him what can be considered peak, and often superhuman abilities. 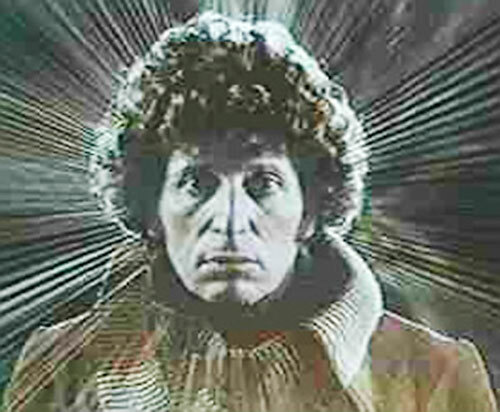 He also is ’semi-telepathic‘, and his time-travelling nature allows him to sense disturbances in time itself. It is his intelligence and literally hundreds of years of experience which are his greatest abilities, allowing him to grasp and master dozens of different scientific fields, mechanical skills and arcane trivia. The planet Gallifrey is home to the Time Lords, who, being first to evolve to sentience, perfected the science of Unlimited Time and Space Travel. Millions of years later, one of their number escaped their society out of boredom and began to wander the universe on his own. His insatiable curiosity was soon tempered with a sense of justice, and he began to actively fight the threats to life that his travels brought him to. His name was soon all but forgotten, and he was only known as The Doctor. 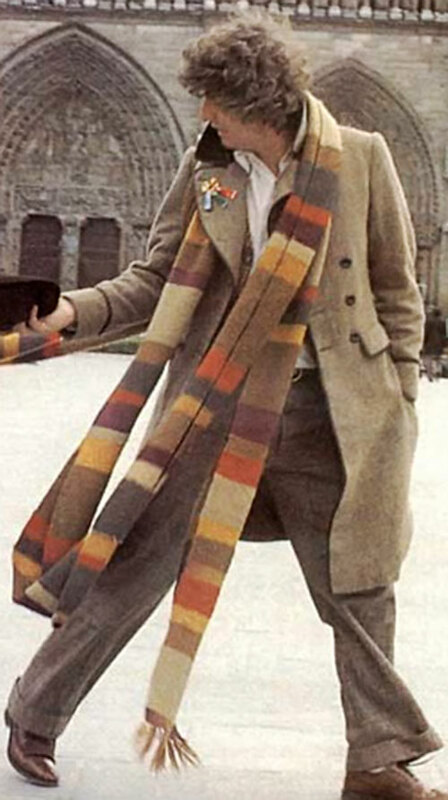 “The Fourth Doctor is a lively, bohemian adventurer with a great passion for his travels in time and space. “His clothes are decidedly eccentric. A light grey wool coat trimmed with black felt on the collar and cuffs, matching baggy grey trousers tucked into brown calf-length boots, a cream and brown waistcoat, open-necked shirt and a long scarf that has to be looped around his neck many times to keep it out of the way of his feet. “Odd looking as he is, the Doctor is a hugely charismatic figure, able to make friends easily with a winning smile and a touch of humour. He will inveigle himself into hectic situations before the participants even have time to realize there is a stranger among them, offering help, and advice and sometimes even tinkering before anybody can stop him. 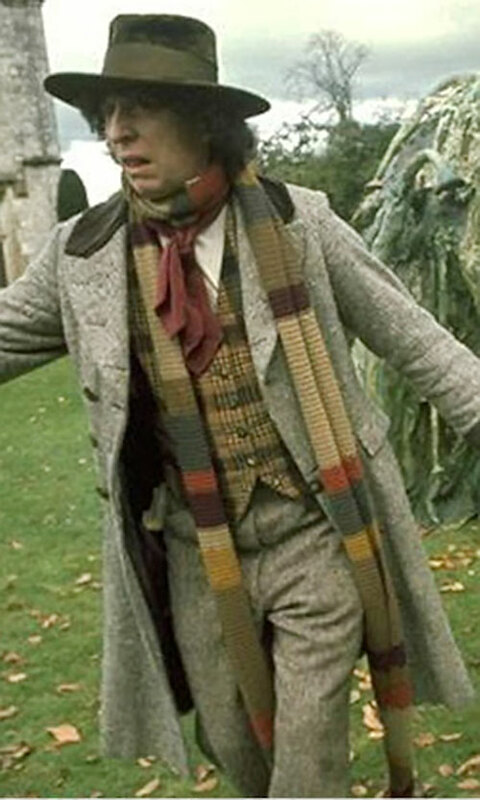 Witty comments, puns, and offering of jelly babies are the Doctor’s weapons against a hostile greeting. “His genius, however, is erratic. The Doctor is temperamental and prepared to be bluntly rude to anyone who interferes with his work. He tends to be absent-minded, leaving behind or sometimes losing vital pieces of equipment. And his companions often take the blame for his mistakes. Like his previous incarnation, he dislikes those in authority. “The Doctor is constantly bubbling with ideas and responds quickly to the stimulus of new information. He asks questions of other people at random, often with no apparent connection, in his attempts to buy time while he thinks through a problem. &ldquyo;He adopts this approach even in adversity. Any captor is likely to be subjected to a stream of seemingly inane observations or witticisms while the Doctor plans his escape. 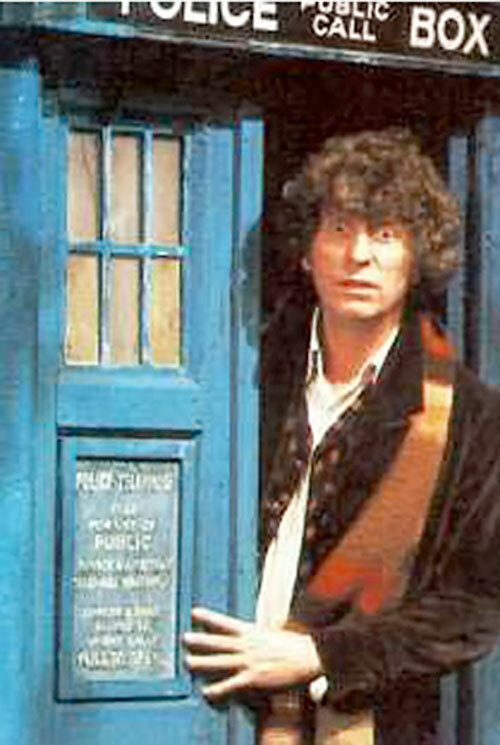 Thanks to the TARDIS, the Doctor can appear any place, any time, and possibly any universe. Since his usual modus operandi is to land somewhere before/during a crisis, it’s easy for him to show up and start guiding a hero group towards a solution, or a mysterious NPC dispensing advice. If used as a Player Character, good roleplaying should earn extra award points. Dex: 05 Str: 04 Bod: 05 Motivation: Upholding the Good. Int: 12 Wil: 12 Min: 15 Occupation: None; wandering Time Lord. Due to his not needing much food, oxygen or sleep, The Doctor can use the APs of Systemic Antidote against endurance rounds, and any attacks where low levels of oxygen are involved (+3). 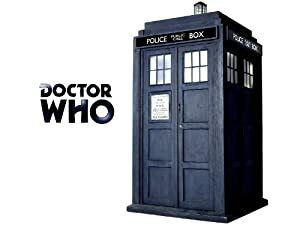 Telepathy suffers a +1CS against those who are not telepathic (no telepathy or mental powers) (-1), gains -1CS for time Lords and Time Lord Technology (the TARDIS) (+1). Cosmic Awareness APs can be added to OV/RV against any temporal (time based) attacks, or attempts to alter history. (If somebody alters time, he will notice the changes while everybody else will be caught up in the events) (+3). Invulnerability can only be activated after death, and only nine more times (this is his third regeneration to date) Activating Invulnerability means to re-calculate the character entirely from scratch (-3). 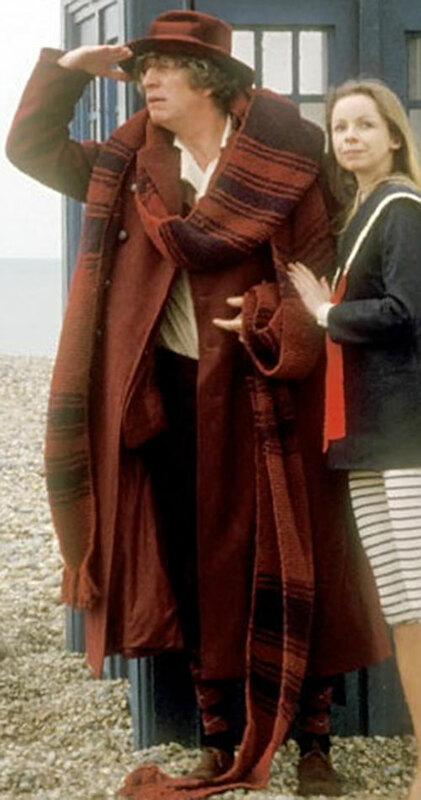 Bond (TARDIS), Buddy (Sarah Jane Smith), Lightning Reflexes, Omni-Knowledge, Resourceful Pockets, Genius, Slow Aging. Due to his itinerant nature, there are none – the Doctor usually relies on his ability to makes instant allies, although it is not infallible. Serious Irrational Attraction to Curiousness ; Arch Enemy (The Master). The TARDIS ; Sonic Screwdriver [BODY 3, EV 13, Range :1, Telekinesis: 03, Thief (Locks and Safes, Security Systems): 06, Vibe: 07 Hardened Defences, R#2. The Thief skill functions like a computer skill – it either tackles the OV/RV of the lockpicking attempt on it’s own, or reduces the APs for the Character to tackle with his/her own Thief skill. Limitation : Telekinesis can only manipulate metallic objects for simple tasks (-3) HP: 62. The Sonic Screwdriver is possibly one of the versitile tools in existence. Used primarily for lockpicking and all-round repairs, it has also been used for other tasks such as exploding mines at a distance and sabotaging androids] ; Scarf [BODY:1, STR:1 HP:10] It’s length is 27 feet (2 APs) and can hold the Doctor’s weight … barely. K-9; Robot/Computer shaped like a dog. May convert stats later. Dex: 03 Str: 03 Bod: 05 Motivation: Upholding the Good. This advantage allows the character to purchase a mental connection to another person, place, or thing. This connection spans any range or dimension, although it does not allow communication(any power bought by the two for personal communication receives a -1FC though). It does, however, alert one another to the other’s well-being and/or location(in general). It does not allow them to appear near each other, unless required movement power is also purchased. This trait is the messy, but sometimes useful ability to keep an extraordinary amount of junk within your pockets, some of which will be invaluable in a tricky situation. This is NOT an Omni-Gadget, in which the items produced will usually have no APs to use, but will fit within the current situation. One example is having a cricket ball handy when you need to throw something at the switch which turns off the automated defence mechanism currently firing energy bolts at you. However, this trait does not guarantee you have anything that you might use normally, such as a pen when you need to write something down. In a situation where the player needs to use Resourceful Pockets, the Player must use INFL/AURA as AV/EV against a value set by the GM using the Universal Modifier Table. Last Ditch Hero Points can be spent to modify. Example: The Fourth Doctor enters a Sandminer Hopper to examine the dead body within, and the entrance slams shut, sealing him inside when the fine powder-like ore starts pouring in, which will suffocate him. The Player declares that he is using Resourceful Pockets, and starts rummaging. The Gm declares that this is a Difficult situation with a difficulty of 04/04. 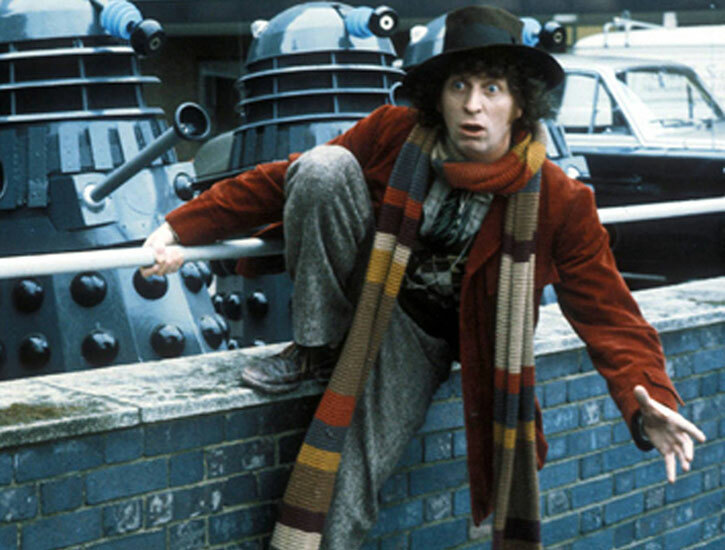 The Fourth Doctor has an INFL/AURA of 07/09, and rolls a 13. He scores positive APs, and produces a long piece of flexible plastic piping long enough to poke through the fine ore, allowing him to breathe until somebody either empties the ore or finds him. Adapted from Time Lord, published by Virgin Publishing. This is the useful ability to thump any malfunctioning gadget and have it work. Apart from The Doctor, this ability was used by ’Happy Day’s’ The Fonz to turn on and off jukeboxes without having to pay for the privilege. The Player’s APs are AV/EV against the RPs of damage preventing the gadget from working. Successful APs indicate success, and the device will work correctly for a number of rounds equal to the player’s APs of gadgetry. Then the device will fail again automatically, and another Bench-Thumping attempt must be made. This can also be used against any object that fails it’s Rating roll. A bench-thumping round can be made against either the gadget’s BODY, or it’s INT as OV/RV (GM’s choice) Then the device works correctly as per normal – until it fails it’s Rating roll again. This can also jar uncomplicated machinery to work despite security measures – vending machines, pay phones, etc. The player’s APs are rolled against either the original designer’s APs of Gadgetry (either a 2 or 3) or the device’s BODY (Maximum of 5). This is decided by the GM. Helper(s): Richard Lyon, Woodrow Hill. Most images for this series of writeups were taken from scifiscience.co.uk/doctorwho/doctors.html (defunct). Source of Character: Doctor Who BBC Television series.